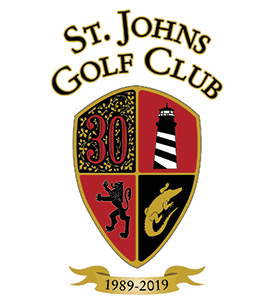 St. Johns Golf Club offers pre-paid greens fees passes on an annual basis. Pass holders get unlimited greens fees during the fiscal year from the first of October through the last day of September of the following year. Cart and course improvement fees still apply on a per round basis. Annual passes may be pro-rated for new pass holders who join during the year; returning or former pass holders must join or renew for the whole year.